For writing any article it is must that you should use a user-friendly blog editor to increase your productivity. Using a blog editor which is having lots of features but you need to read help guide whenever you use it, is not good. 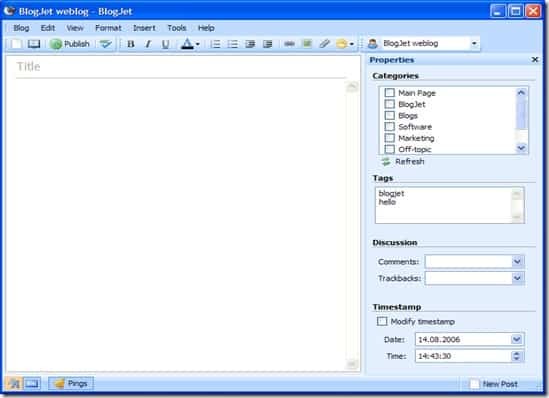 Blog editor should be easy enough that you can explore and use the features easily. One of such blog editor is Open Live Writer, without which I can’t think to write and publish posts but if you are not a fan of Windows Live Writer than I have listed few weblog clients which give lots of similar feature as Windows Live Writer provide. These are free and easy to use WOpen live writer alternative. BlogDesk is an offline weblog client having good features. 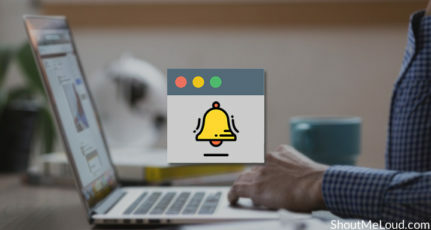 BlogDesk is having option to edit and format your article, add images directly, crop them and enhance the image with different available designs and you also get inbuilt dictionary in 14 different languages. Apart from this it also allows you to publish the article with just one click. BlogJet is a user friendly blog editor. 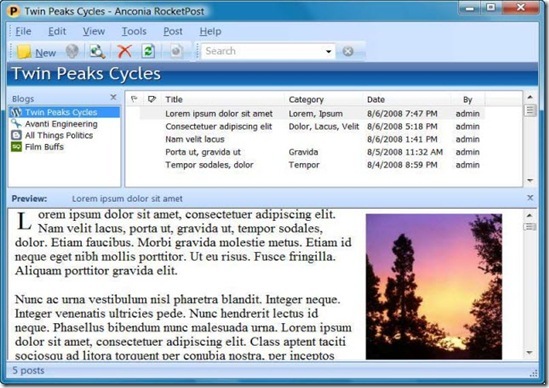 It is gives you lots of similar options as given by Windows Live Writer like adding videos from YouTube, inserting images from your computer or Flickr account. You can format your articles and can also attach files to your post easily. 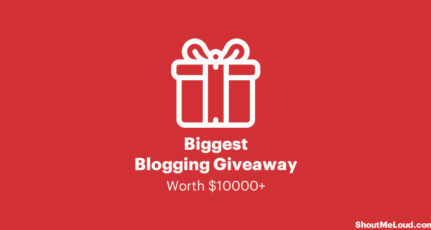 If you are looking for an easy blog client then BlogJet is worth trying. Zoundry Raven is a WYSIWYG blog editor which helps you to post your article on different blogs. 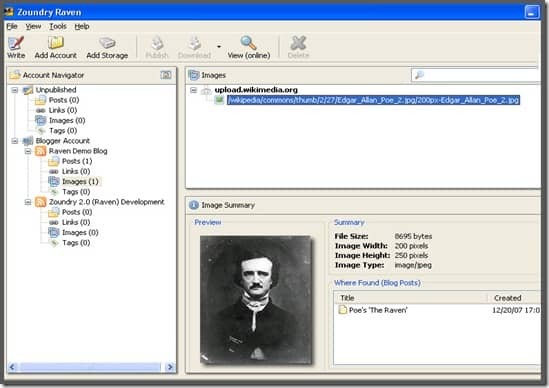 It provides options to setup different media services like Picasa, Image shack etc. and good feature is that you can easily search any previous post by tags, links and even by images. It is kind of advanced featured blog editor. RocketPost is for professionals who have to write actively because it has good interface and all needed features. It has all useful editing features like spell check, multi-word autocorrect, easy to add links and search previous post. Like other blogging editor even Rocketpost allows you to edit images and insert easily in the post. 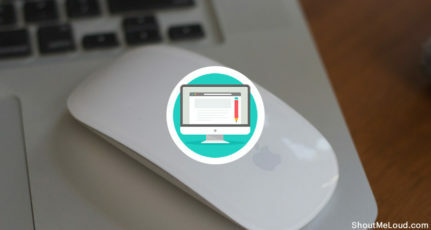 This blog editor is for Mac users. There are few more editors for Mac but I prefer Ecto most. It allows publishing post to lots of weblogs systems like bloggers, Drupal, WordPress etc. Provides lots of rich HTML features and easy to edit images and with all advanced features used to edit any articles. When it comes to mac, Ecto is one of the best windows live Writer alternative for mac. Well, no doubt if you are familiar with Windows live writer, you might never feel the same with any of these alternative. I wish if someday in future we will have a mac version of Windows live writer. Anyways, do let us know which windows live writer alterative are you using and recommend to others? Yeah Geet, Many bloggers search for WLW alternatives when they are working on different OS. And these are worth giving a try. 1. We can’t access installed plugin features while it is available in online edit0r. 2. Formatting might be changed. 3. Not good for SEO due to complex HTML Tags. Hey Brij, thanks for your views. 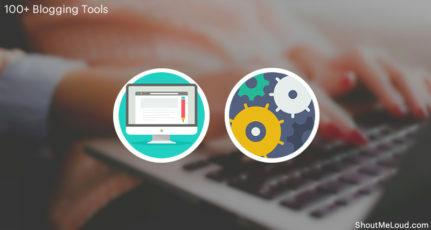 I guess there are pros and cons of all tools but then also these blog editors are easy to use and increase our productivity for sure. I have been using BlogJet, when I was using a PC. After I switched to a Mac I started using Ecto. But now, for the past year or so I have been using WriteRoom (got nothing to do with blogging though). WriteRoom is all about distraction free writing and it’s awesome. I use it to write all my blog posts, and I add them to wordpress and then add the html / links that are necessary before I publish. Thanks Jens for your feedback about WriteRoom. It seems to be a nice alternative too. All this are good alternatives but do they support ‘All in One SEO’ in WP, WL has some alternative to this? Pls let me know. Hey GoaLive, If you are concerned about SEO then I would suggest to give try to BlogJet. Glad you like the post Nicholas. Windows Live writer will surely work with WordPress, I do use it in WordPress and yet there was no problem. Thanks for letting me know. I will check it out to see how it works with my theme. I am not very technical so I am always afraid of breaking things. Currently I have the 2011 version installed. Listened many times of live writer but never used. I love default WordPress post writer. I am big fan on Windows Live but the alternatives are great. Thanks for sharing the list. I rarely use any blogging editors other than the default one Ruchi.. seriously I don’t see any point. Agree Pradeep, its same with me but there are bloggers who don’t prefer to use WLW, may be helpful for them :). I like WLW just fine, but I’ve been away from blogging for awhile, and now it won’t connect to Blogger. Keeps saying I’m using the wrong password, but I can log on to Blogger just fine. But not with WLW. Blogger won’t let you easily put multiple photos on one line, so I need to find something that will do that. Now WLW is Open Live Writer. It works fine with blogger and allows for 2,3 or as many as you want pictures as WLW allowed (It’s actually just an evolution of it). By far the best off-line blogging tool in the market. what is the equivalent for mac of of windows live writer ? I use Windows Live Writer to post articles in my WP blogs because it works just fine. I have tried Open Live Writer but it seems that nobody is interested in continuing developing and the plug-ins offered page is blank year after year.